With over 25 years of experience managing Human Resources functions and providing system wide HR support, Reba T. Simmons is a seasoned HR executive with extensive experience in compensation and benefits programs, employee relations, training/development, and staffing/recruitment. Her earlier roles starting in 1987 as Assistant to the Director of HR, Employee Benefits Specialist, and Personnel Specialist within the retail, finance, and insurance industries has led her down a successful career path serving in executive level HR roles for various organizations including, the University of Alabama Health System, the University of Alabama at Birmingham (UAB), the Regional Medical Center, and Children’s Health System. Simmons provides executive leadership to Talent & Culture partner services and is accountable for all aspects of human resources management. She provides executive human resource management support to all lines of business and support areas in the bank, and ensures Talent & Culture cultivates a world class workforce, an area of key strategic importance to BBVA Compass. In addition, Simmons serves as the Executive Sponsor of the BBVA Employee Volunteer Program. Prior to joining BBVA Compass, Simmons served as Chief Human Resource Officer and Chief of Staff at INROADS, an international leadership development organization and the nation’s largest nonprofit source of leadership development training utilizing salaried corporate internships. INROADS has an average of 1,500 Interns annually and over 27,000 Alumni. INROADS is recognized for more than 45 years of cultivating and developing talented underserved students for business success in corporate America. At INROADS, Simmons developed and executed strategies and policies regarding organizational effectiveness, employee relations, staffing, performance and talent management, professional/intern development, and rewards/recognition. She also served as a strategic partner within the executive leadership team on organizational challenges and ensured delivery of cost effective and creative products and services to support the accomplishments of the INROADS mission, vision, and goals. Additionally, Simmons was responsible for HR administrative systems, programs, and processes. Simmons also served as Executive Director, Human Resources Management for the UAB Health System, a 2009 award recipient for Modern Healthcare’s Best Place to Work and a national leader in patient care, research, and training with the entire system including UAB Hospital, UAB Highlands, UA Health Services Foundation, Corporate Office, Viva Health Plan and Callahan Eye Foundation. Within this role, she supported key executive recruitment for senior level roles including CFO, CNO, CEO for key business unit, and Chief Learning and Systems Support Officer. Simmons has served as Director, Compensation and Benefits for the UAB; VP Human Resources at The Regional Medical Center (TRMC); and HR Manager Employee Relations & Affirmative Action at Children’s Health System (CHS). While at the UAB, Simmons directed and supervised compensation and benefit policies for 17,000+ employees. As VP of Human Resources at the TRMC, Simmons served as hospital administrator, provided organizational direction to employee health and worker’s compensation programs, and developed course curriculum and training sessions to enhance leadership abilities for 125 supervisors and managers. At Children’s Health System, Simmons assisted with the implementation of Affirmative Action Program, developed metrics and measures for staffing functions, and also served as Interim Director of HR for one year while serving on the search committee for a Chief HR Officer. 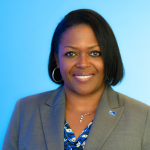 Simmons began her professional career in the finance industry with AmSouth Bank as an Employee Benefits Specialist and has come full circle with her return to BBVA Compass as Executive Vice President, Executive Director, Talent & Culture Partners. Simmons holds a Master’s of Arts degree from Birmingham Southern College, a Bachelor’s of Science degree from the University of Alabama at Birmingham, and a Certificate in Global Leadership in Healthcare from the University of Michigan. Her current affiliations include: Board of Directors for Glenwood, Inc. serving on the Executive Committee and a Member of the Society for Human Resource Management (SHRM). She is married to Lynn Simmons and they have two children, Frank (wife Toni) and Rachel as well as two grandchildren, Ryan Faith and Frank, III.